“Our Ready Jet Team is Growing” - Blasters, Inc.
Our team is growing once again – and we couldn’t be more excited! To help us continue providing the best service that we can for our customers, we brought on a new incredible team member. 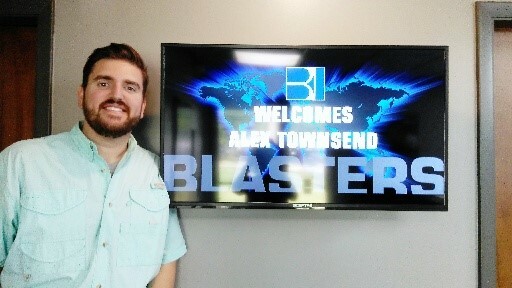 Alex has already hit the ground running and we know he will be an enormous asset to Blasters Ready Jet. Without further ado, let us introduce him to you! Alex Townsend will be the Sales Executive for our Ready Jet division. Alex has previously worked in various industries in both sales and marketing capacities. He is a graduate from the University of South Florida with a Bachelor of Science, College of Business, Marketing degree. Call us now to schedule a demo or to just to say hello.